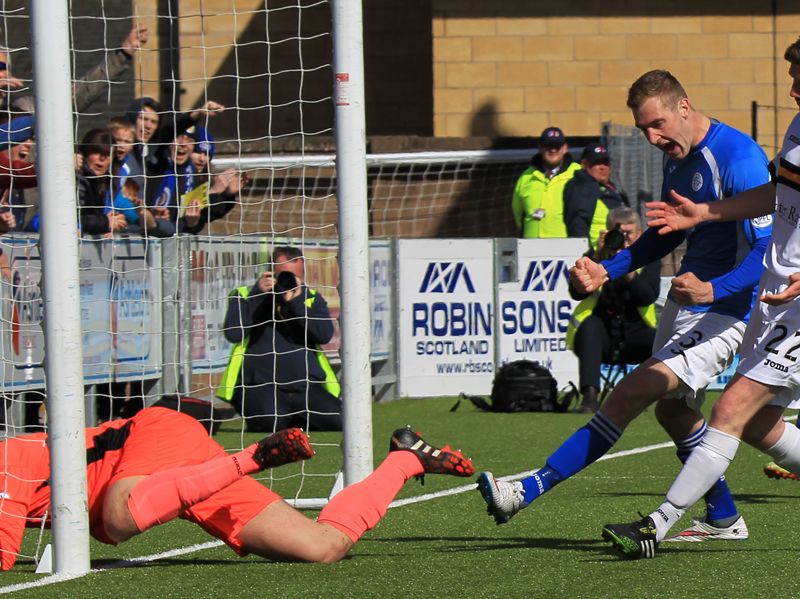 Two second half goals were enough to give Queens the victory they needed to send them into the end of season play-offs, and although visitors Dumbarton, pulled a goal back and caused the home side a few nervy moments towards the end of the game, Queens held on to clinch their second top four finish for the second successive season. With Mark Millar missing through suspension, we knew that there would be at least one change to the team that started at Alloa, but boss James Fowler made three changes to his line-up as Ian McShane, Iain Russell, and Jim Atkinson were all in from the kick-off. After the pre-match awards were completed, the final home game of the (regular) season got underway with the home side attacking the Terregles Street end of the ground playing in what was an attack minded 4-4-2 formation. However, although the line-up looked to be an attacking one, for the majority of the opening phase of the first half, Queens really struggled to get their passing game going, and the twin strike force of Derek Lyle, and Gavin Reilly, who between them had scored 28 league goals this season were somewhat starved of any quality balls played up to them. Andy Dowie`s pass from the back almost picked out the run of Iain Russell, but just when it seemed Queens might have their first half chance, the ball was cleared by defender Findlay. Unfortunately, for Russell, that was to be his last involvement in the game as after just 11 minutes he had to be replaced. After a clash in the centre circle with Dumbarton man, Turner, Russell remained prostrate on the ground, and after some initial treatment he was led from the field seemingly suffering from some form of concussion. There did not appear to be much in the challenge, although referee Colvin saw enough in it to show the Dumbarton player the game`s first yellow card. Michael Paton came on to replace the unfortunate Russell. The best passing move of the half from Queens should really have produced the opening goal. Chris Higgins began the move with an excellent ball to Kevin Holt down the left, and after advancing to the edge of the penalty box, Holt`s delivery to the far post fell invitingly for Lyle, but the in form striker was unable to make it 4 goals from his last 4 games as his header hit `keeper Rogers and bounced to safety. The striker was involved in Queens next attack when he got on the end of a Danny Carmichael cross, but he was not able to keep his header on target. The hosts were certainly having the majority of possession, but with Dumbarton defending with just about every player sitting behind the ball, Queens were finding it hard to find a way through, and on many occasions the final pass was not accurate or penetrating enough to pose any real threat to the visitors defence. It was starting to be a case of `almost` for Queens, as in their next attack Stephen McKenna flicked a lovely pass over the defence for McShane to latch on to, but after controlling well and from a difficult angle, the midfielder could not get enough power into his shot to trouble Rogers. Minutes later Queens were awarded a free-kick following a foul on LyLe, and from a good opportunity some 25 yards out, Paton`s effort clipped the top of the wall and went away for the first corner of the game, which was comfortably dealt with by the Dumbarton defence. The visitors won themselves their first corner of the game after Agnew`s through ball found Megginson,but his low drive was turned away by Jim Atkinson. Queens were looking to use the pace of Carmichael as their best attacking option, but for the majority of the half, Dumbarton more often than not had two players keeping tabs on the winger which made it difficult for Queens to get beyond the defenders and this resulted in the play often being very congested in the centre of midfield. 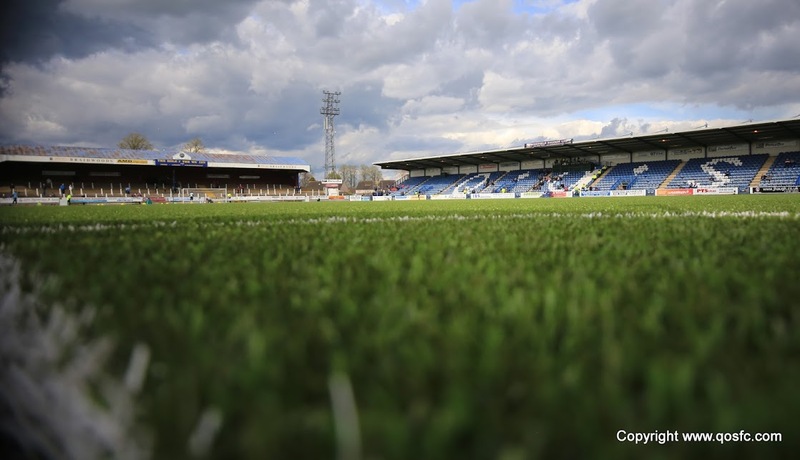 As the half moved toward it`s conclusion, Queens forced a series of corners and although the quality was decent enough, the hosts were kept at bay by a well organised defence for all but one of those Queens corners. The one that nearly mattered, corner number 6 in total, was swung in from the right by McShane and a combination of Dumbarton `keeper Rogers and his defence kept the ball out. All in all a pretty mediocre first forty-five minutes with neither side really deserving to be ahead. The second half began much the same way as the first had done with Queens having plenty of possession although again they were unable to find that crucial final telling pass, and with a certain amount of nerveousness starting to filter through the crowd of 1865 - mostly from the fact that Falkirk were leading at Ibrox - there was some relief when on 55 minutes, Queens finally found the breakthrough that changed the game. After the ball broke to McShane in midfield he moved out to the right before whipping in an inviting cross that had the Dumbarton defence in trouble, and when the ball flicked off the head of Findlay and fell into the six-yard box, Kevin Holt was on hand to tap the ball in from very close range. After taking the lead, Queens had a great opportunity to double their advantage minutes later. A short pass left Gavin Reilly through one on one with the `keeper, but as he tried to take the ball around him, the `keeper was able to block the shot,and when the ball broke back to Paton just inside the area his goalbound shot was headed clear but only out to Carmichael who volleyed an effort well over the bar. The winger then became the second player to be booked following a clumsy tackle in midfield, and from the resulting free-kick Dumbarton went close when Megginson`s shot was blocked away for a corner. Substitute Gilhaney picked out the head of Findlay from the set-piece, but Jim Atkinson was alert enough to tip the ball over the bar for another corner that Queens repelled with ease. It was from a corner of their own that Queens extended their lead after 72 minutes. Ian McShane`s ball into the box was cleared to the edge of the area, and after controlling well,Stephen McKenna curled a right footed drive through the crowd of players and past the stranded `keeper to score for the first time this season. Many in the crowd thought that Queens had added a third when Derek Lyle rolled the ball into the net after it fell to him as `keeper Rogers dropped a cross, but the goal was ruled out for offside. With ten minutes to go the visitors got themselves back into the game when a neat passing move down the right opened up the Queens defence and allowed substitute Donald McCallum to finish well with a precise strike that flashed past Atkinson. 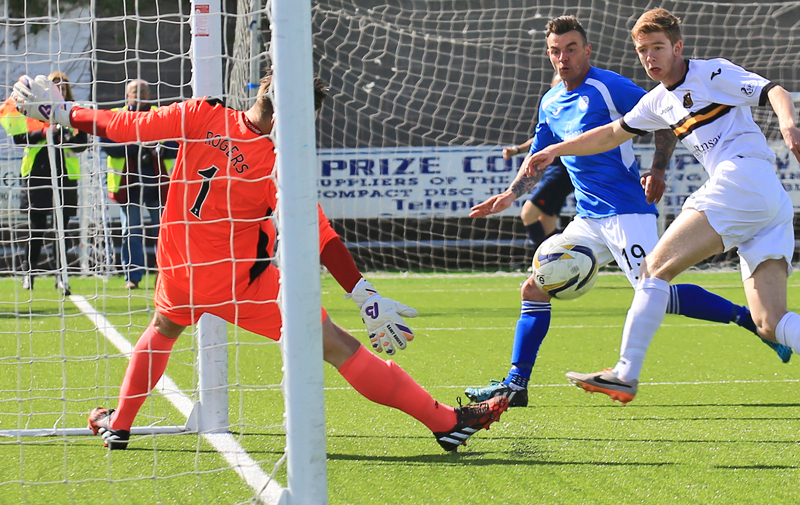 This was the start of a rather nervy few minutes for Queens as the visitors gained some belief after getting back into the game, and a similar move ended with Campbell firing wide of the target when a pass inside might have been the better option, and a shot from close range by Gilhaney flew into the side netting as Dumbarton searched for a leveller. Lewis Kidd replaced Lyle with six minutes to go, and the Queens substitute came very, very close to wrapping the game up not long after coming on. After collecting the ball in midfield, Michael Paton saw the run of Kidd and slipped a perfectly weighted ball into the path of the substitute and his first time low drive shaved the outside of the post as it crept wide. Queens final change came almost on full-time with Jake Pickard replacing Reilly, and when the final whistle sounded on Queens` regular home season, they knew that they had done enough to secure a play-off position. Danny Carmichael was once again selected by the sponsors as man-of-the-match, as the hosts made it 5 home league wins in a row. 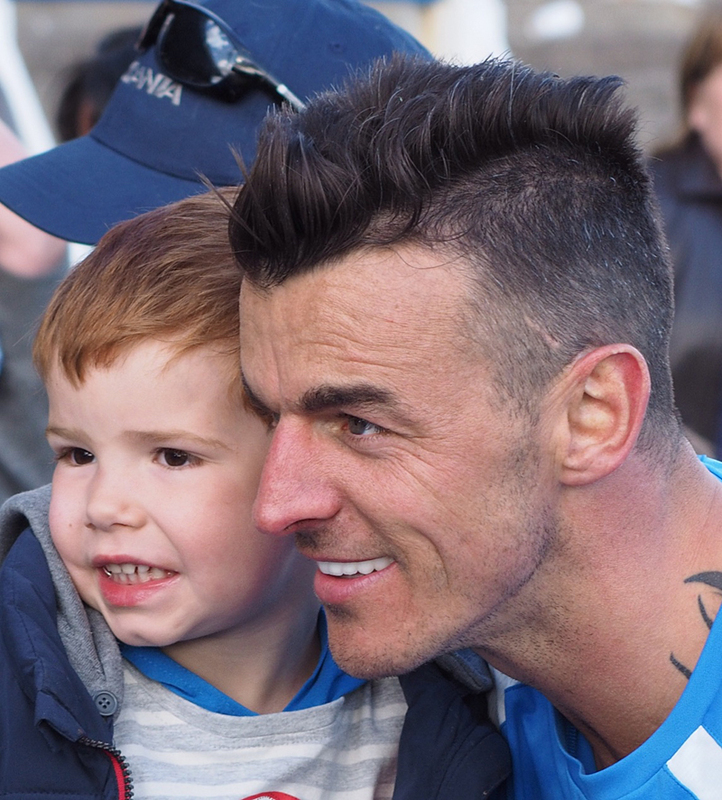 Whatever happens in the days to come, it has to be said that Queens - players, and management - deserve a huge amount of credit for what they have achieved this season, and hopefully there are still a few more games left to play. 14:46 Good afternoon from Palmerston. 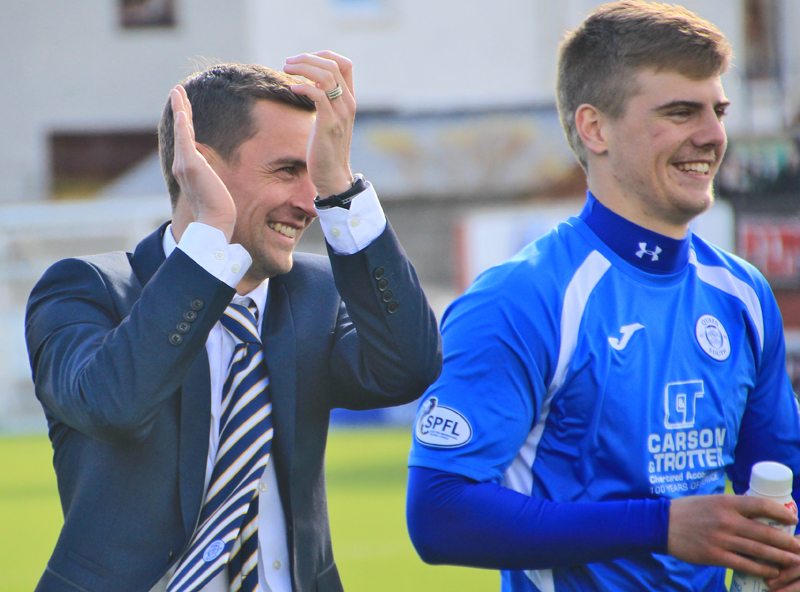 Queens face Dumbarton knowing three points will secure play-off football. 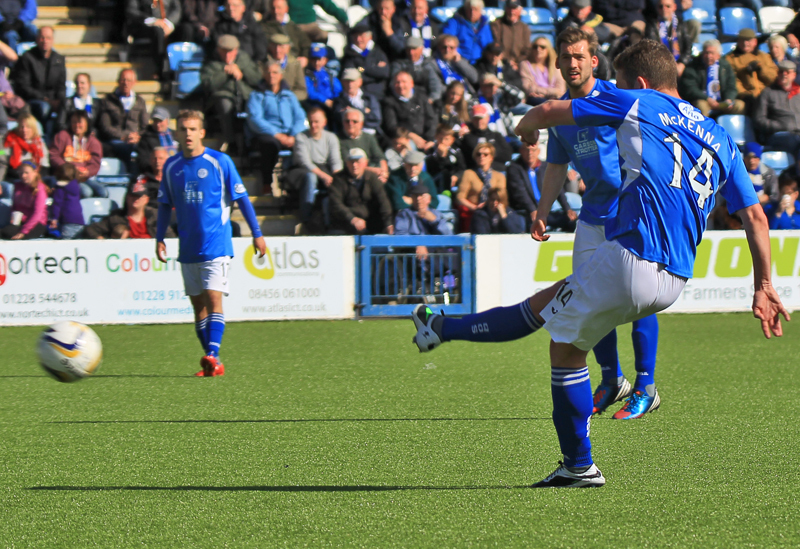 14 min Derek Lyle is denied the game`s opening goal as his header is stopped brilliantly by Danny Rogers. 25 min Megginson forces Atkinson in to his first save of the match. The keeper parries it out for a corner. Half Time Very poor first half at Palmerston with both sides failing to create any clear cut chances. 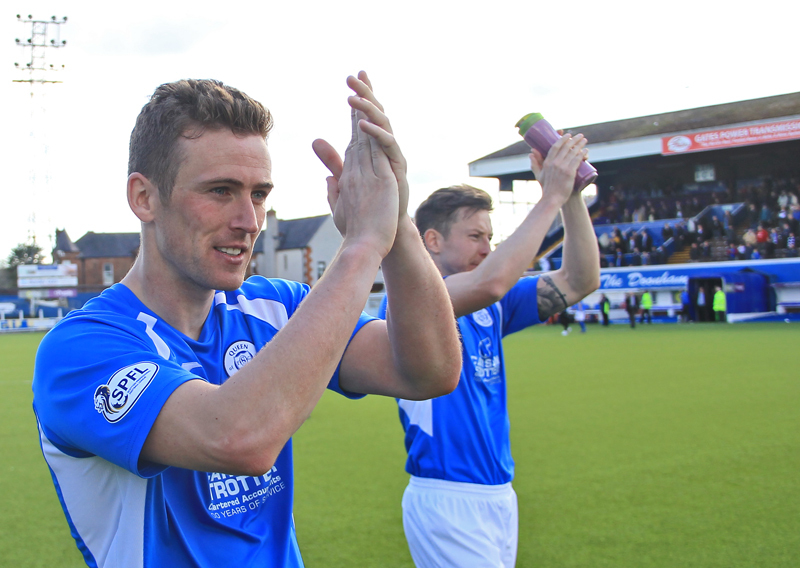 Half Time Today`a Attendance at Palmerston is 1865, thanks for your continued support. 55 min Kev Holt taps home from five yards out to give Queens the lead. 72 min Play-off football finally looks confirmed for Queens as McKenna makes it 2-0. 87 min Gilhaney strikes the side netting for Dumbarton. The sons are looking livelier now. 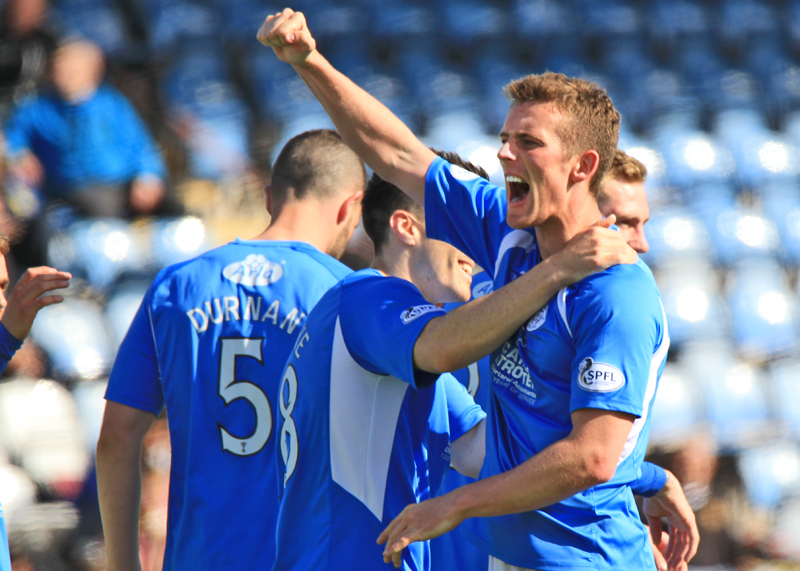 16:55 Today`s win secures play-off football for Queens and now we wait to see if we will face Rangers or Hibs.